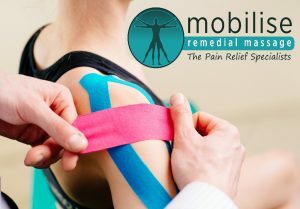 You will have the choice between Myotherapy (expert remedial massage) Sports Massage or Remedial Massage. Once you have clicked on the treatment of your choice, you will be able to choose to look at all available appointments, or pick a specific therapist. 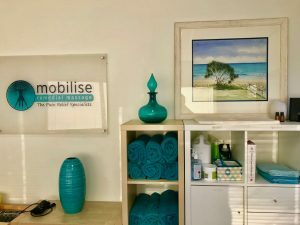 If you want a Sports Massage, choose an appointment based on the level of expertise you’re looking for (Myotherapist or Remedial Therapist), as both our modalities can perform sports massage. From there you will see a calendar, and you can click on the time of your choice. Put in your name, birthdate, mobile number and email, and you have a booking! Will I get an appointment reminder? Yes! You will receive an email confirmation on the day you make the booking, and an SMS reminder the day before the actual appointment. Where can I read more about what you do? We have a News and Blog section that can give you lots of info on what we do and how it works; we also have a Facebook Page, and an Instagram account for our patients to access new deals or info. We are located in Jemcorp House, 49 Sherwood Rd Toowong. We are on Level 4, Suite One. When you exit the elevator, turn right and we are in the Toowong Serviced Offices at the end of the hall. The sign on the door says “Sohovian”, which is the office service company. We have a sign on the wall next to this. Mobilise accepts Eftpos, Visa, Mastercard and American Express. We also accept cash payments. Yes, we have a HiCaps machine, meaning you can claim your health insurance rebate on the spot and only pay any gap on the day. Are all your treatments covered by health insurance? Yes, all our treatments are covered by health insurance. *On occasion, our new therapists may take a couple of weeks to have all their provider numbers organised (our profession requires new numbers to be generated for each clinic address). If this is the case for your treatment, we will discount the treatment price for you to compensate for the rebate payment. There is parking nearby in Toowong village as well as street parking on Sherwood Rd. We have toilets and bathrooms, shower facilities, and cold water available. How close are you to public transport? We are 40m away from Toowong Village and its train station. There are also extensive bus services to the area. Are your therapists certified and qualified? All our therapists are qualified in both Myotherapy and Remedial Massage. Every therapist is a certified member of either Myotherapy and Massage Australia (AAMT) or the Australian Natural Therapies Association (ANTA), the two largest Professional Associations for our industry. This ensures you will only receive the highest quality treatment, and all the treatments are covered by health insurance. Myotherapy: 1hr Treatment $99; Extended Treatment (1hr15) $120; 30min Treatment $60. ** You can claim health insurance at the time, so you will only have to pay a gap on the day. Myotherapy is a Bachelor Degree in manual medicine. Myotherapists may use massage as part of their treatment, but will have a deeper understanding of your complaint and a much more involved treatment plan for helping you. Remedial Massage is a Diploma qualification, and wonderful for tight, sore muscles or general sports massage. 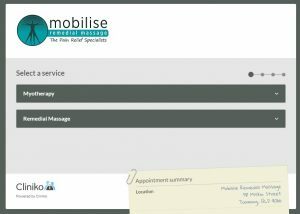 At Mobilise, our therapists are both Myo’s and RM’s. 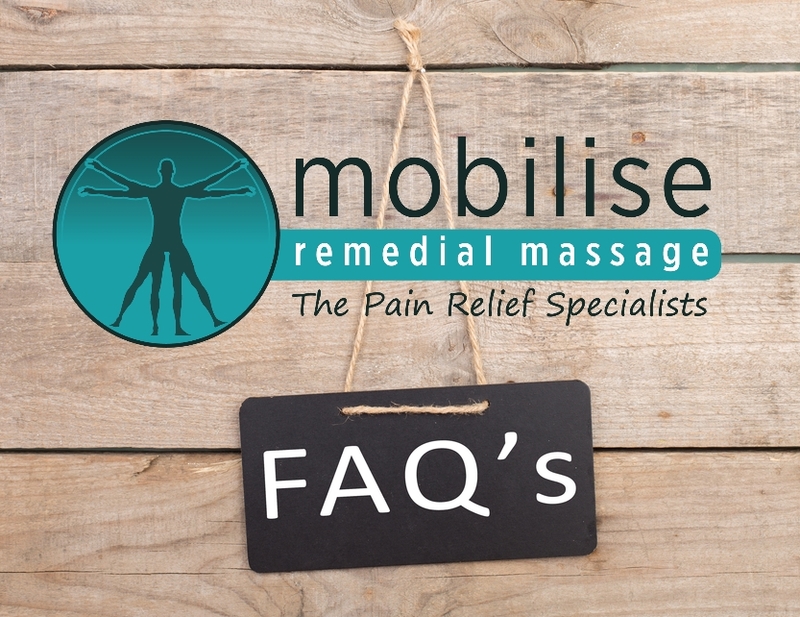 Can I talk to someone about my condition or pain to see if Mobilise is right for me? Of course! There is always a therapist on hand to talk to about what hurts, and if we can help. We would love to chat to you on the phone, or via email to help you make the most informed decision about your health that you can. Depending on your condition, you may need repeat treatments. This will be discussed and planned with you, always keeping YOUR needs and goals in mind. Our job is to get you better, and for you to not need us! Will you give me home rehab? In the spirit of making sure you stay out of pain, and don’t need us in the long term, we make sure we create a plan for you to use at home to help you heal, and to keep you out of trouble. If you are seeing a Myotherapist, this plan may be fairly detailed and may have some progressive steps; if you are seeing a Remedial Therapist, the plan may include some common stretches and info for good muscle health. Can you deal with multiple injuries or conditions in the one treatment? We can. If you have multiple sites of pain or injury, book an extended treatment with one of our Myotherapists. This allows us enough time to do all the assessment needed, and to start on the specific treatment plan tailored to you. We want enough time to ensure you begin to feel better even after the first treatment, so if you have lots to tell us – book the 1hr 15min appointment for your first visit.